Natural gas is rapidly becoming the favored form of hydrocarbon energy in many markets. The lack of emissions and efficient combustion of natural gas have contributed to its growth over the past few years. 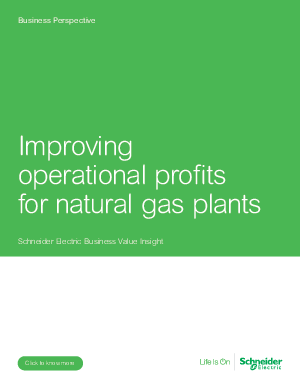 There is a great need and potential for measurable operational profitability improvements (OPIs) in gas plants based on real-time measurement and control of energy cost and production value of these operations. Measure, empower and improve your continuous improvement process and maximize operational profitability.